Arsene Wenger seems to have identified or had identified for him the characteristics of a Senegalese centre-back that may very well be just what is required for the Gunners. 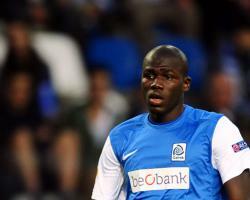 The player in question is none other than the Â£37million-rated Napoli man Kalidou Koulibaly, a player recognised for his versatility and passing ability, a player certainly able to link-up well from deep and at 6'5Â”, a big presence in set plays. The player has been hawked around with particular interest from the Premier League with Chelsea and Everton showing interest. Koulibaly was born and raised in France to Senegalese parents and despite earning 11 caps for the France U20 squad he chose to play for Senegal as a senior, where he has so far earned 6 caps. According to Goal the player has been offered to Wenger so long as they meet their asking price.